I’m a web engineer with a background in design and writing. During the day, I'm an engineering manager at Spire Digital and at night I build things I'm passionate about, like CampCrew.co, Pack Party, and curate the Dev + Design Roundup. Read my posts on Medium, connect with me on LinkedIn, follow me on Twitter, use my photos on Unsplash, or send me an email. 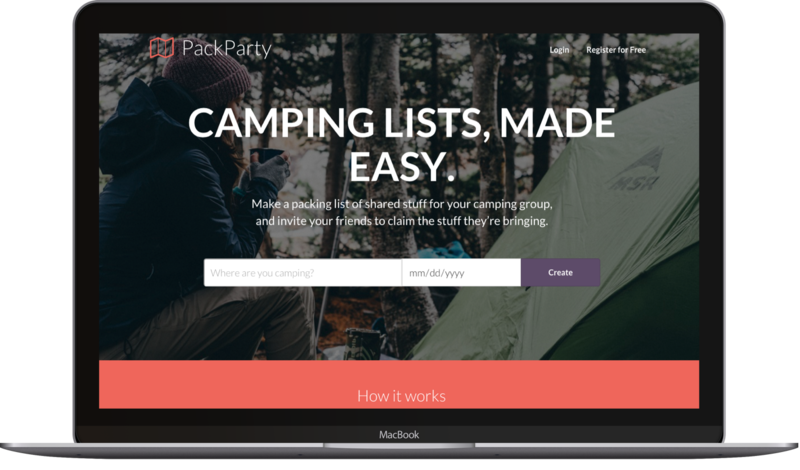 Pack Party is a web application that makes creating, managing, and sharing camping lists easy. My partner and I have launched and are actively iterating on an MVP release of this project. It is developed using PHP, MySQL, Vue.js, HTML & CSS and leverages Laravel Spark. The Round Up project exercises design, development, writing and marketing. 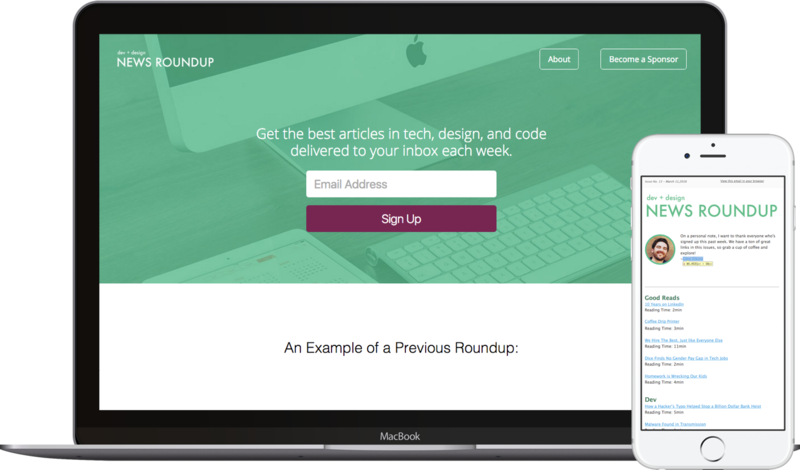 it's a way for techies to stay on top of the best articles in the industry once-a-week. For this project, I employ a Lean UX philosophy, and validate small assumptions about my user base over quick iterations on features, content and marketing. 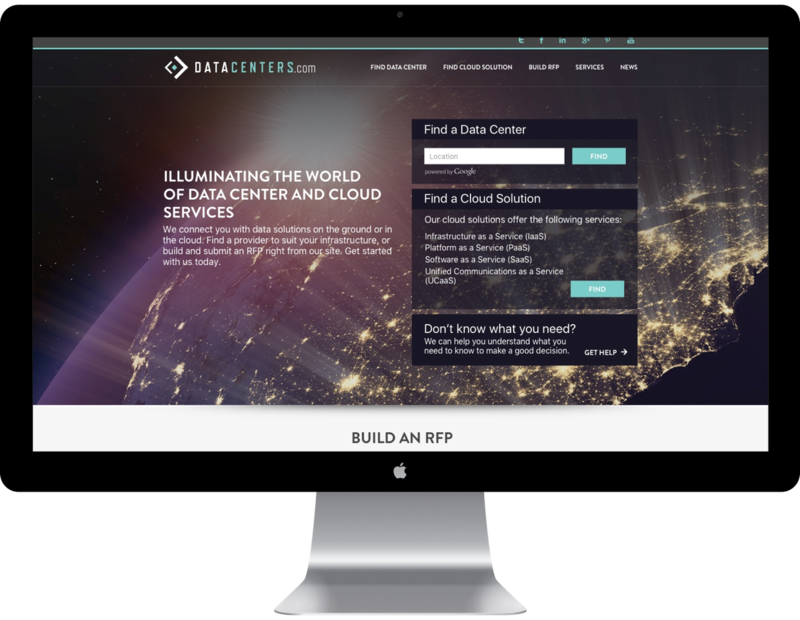 DataCenters.com is a web application that lets users find data centers that fit their geological, technical and pricing needs. This product is built in PHP, and uses the Laravel framework, Backbone, jQuery, and a custom SCSS framework. 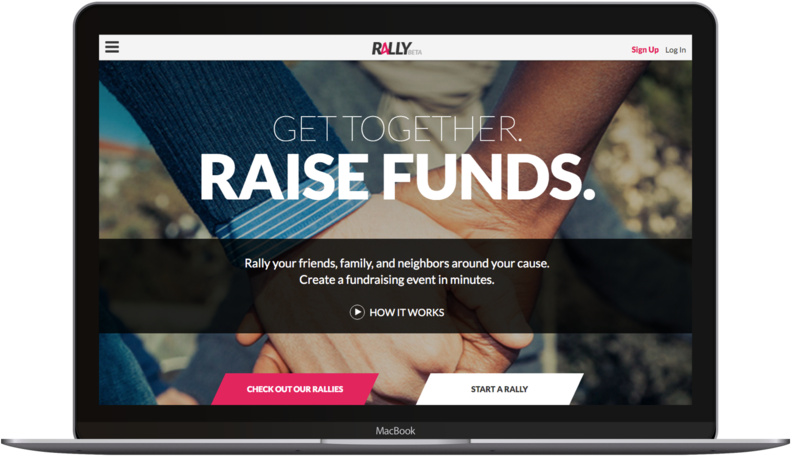 Rally4 is an MVP product for a start-up who focuses on enabling users to give to causes they believe in. The application includes a custom control panel for admins to access, and integrations with payment processors. It take Courage To Care. 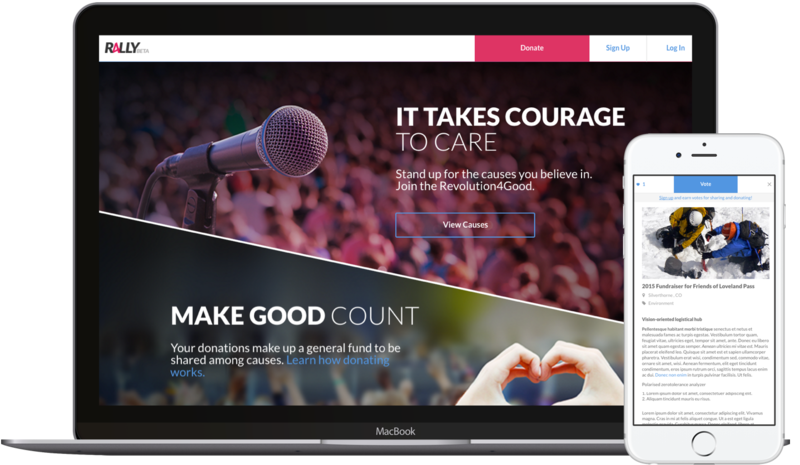 Revolution 4 Good was built to support a marketing campaign tied to Rally4. The web application allows users to create, vote for and donate to causes. The build includes a custom control panel for admins to access, and integrations with payment processors.